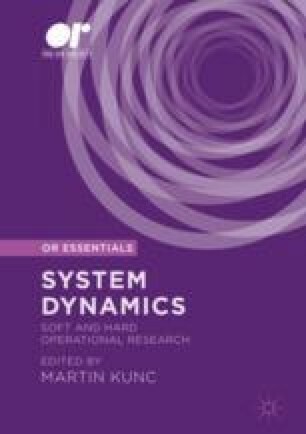 Using system dynamics methods, we provide a feed-back interpretation of the ecological theory of organisational inertia and change, and explore the dynamic implications of the theory through computer simulation. The study offers three main analytical insights. Firstly, structural elements typically associated with the accumulation of organisational inertia need to be in place before organisations can exploit the advantages of cumulated experience. Secondly, inertia does not have the unique consequence of lowering organisational responsiveness to external stimuli, but also that of connecting pressure for change and change attempts within organisations. Thirdly, there seems to be an ideal level of organisational resistance to change, and hence of organisational inertia. Below this level organisations find change relatively easy to sustain, but are unable to stabilise change process and capitalise on their activities of exploration of new solutions. Above this level efforts aimed at improving the reproducibility of organisational structures are not compensated by a corresponding long-term increase in reliability.